Nitroracers present the speed and adrenaline rush better than any rally racing game before it. You need to use nitro to win this crazy racing. Turn it on and your car will gain incredible speed. Win competitions and get points to gain access to more powered cars. Download free full version game today and try to win this crazy racing! 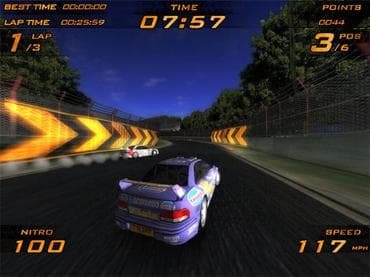 Free Game Features: - Real racing game, vehicular combat; - Modern 3D graphics; - Extraordinarily addictive game play; - Unique power-ups; - Original soundtrack and powerful sound effects; - Save / Load game option; - Game statistics; - Free full version game without any limitations. If you have questions about Nitroracers game, please contact us using this form.